You'll always receive the best room selection & rates by booking directly with us.....guaranteed. Long before Cape Cod became world-renowned as a summer vacation destination, and Orleans was established as the hub of the Outer Cape, the elegant home of Freeman Snow stood by itself in East Orleans. Set on a gentle knoll to capture the views of the Atlantic Ocean, the home – built in 1820 – was a peaceful haven set among acres of farmland. Today that home is the Ship’s Knees Inn, a lovingly-preserved Orleans inn on the beach. While much has changed since the Snow family’s time, our Orleans hotel continues to serve as a peaceful haven, welcoming guests from around the country and around the world. At our inn on the beach on Cape Cod, you’ll find rolling green lawns and colorful gardens bursting with flowers. Sprinkled throughout our one-and-a-half acres are quiet spots which offer a private place to relax and take it all in; settle into an Adirondack chair with a novel or enjoy an afternoon nap in one of our hammocks after spending the day at nearby Nauset Beach, just a five-minute walk away. In the center of the property you’ll find a courtyard arranged with comfortable seating areas and umbrella-topped tables. In the evenings, our fire pit proves a popular spot to gather before or after enjoying dinner at one of the many nearby restaurants. 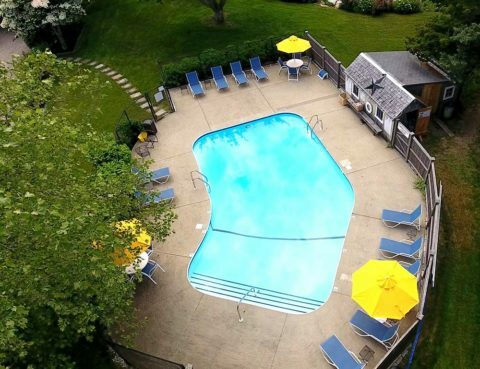 And while we know you’ll want to spend time at beautiful Nauset Beach, it’s quite possible you’ll find our in-ground pool too tempting to pass up. Each guest room at our Orleans hotel is individually decorated and completely unique. All include private baths, comfortable beds with premium linens, flat-screen TVs with cable, Wi-Fi, refrigerators and air conditioning. Some rooms include working fireplaces, private entrances and distant views of the ocean as well. A sumptuous buffet-style continental breakfast is also included with your stay. Breakfast is served in our charming dining room and, in the summer months, seating is also offered on the patios and by the pool. While Ship’s Knees Inn may prove so relaxing that you find it difficult to leave the property, you’ll find the inn is so ideally situated that you won’t be able to resist exploring Orleans and the Lower Cape, and beyond. Enjoy a free summer concert at Nauset Beach and then tuck into a platter of fried clams at one of the local mobile beach eateries. 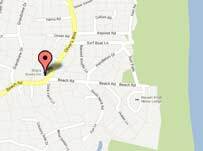 Or opt for upscale Tuscan at Nauset Beach Club which is just up the street from us, as is the Barley Neck Inn. In Orleans center you’ll find dozens of other restaurants. A Cape Cod summer vacation is all about exploring and there is much to explore within just a 30minute drive of the inn. Cape Cod National Seashore, with its miles of hiking and biking trails, and endless beaches, is minutes away. If you’d like to get out on the water, rent a kayak at Goose Hummock and explore Town Cove or jump on a charter fishing boat at Rock Harbor. If you’ve got the golf bug, you’ve come to the right place. There are dozens of golf courses on Cape Cod with several challenging public courses, including The Captains, and Dennis Pines and Dennis Highlands,which are within 20 minutes of the inn. A bit further away, in Truro, you’ll find a vineyard and a working lighthouse which is open daily for tours. And then there’s Provincetown! 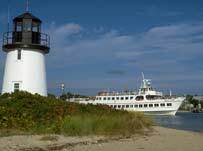 From whale watching and shopping, to dining and art galleries, you’ll find it all in this fun and funky town at the end of Cape Cod. And when you’re done shopping and dining, and boating and beaching, and biking and hiking, your beautiful home away from home – the Ship’s Knees Inn – will be awaiting your return. 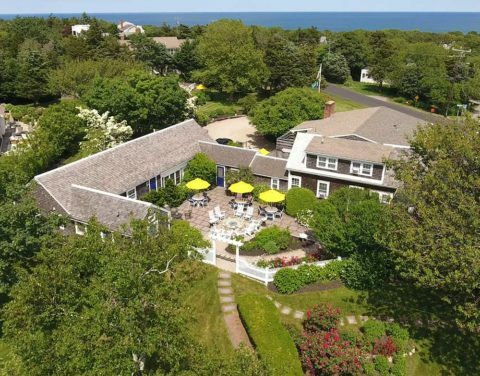 Unique, delightful lodging on Cape Cod , your perfect beach vacation getaway!